Baku, the world's oldest oil industry center, has become one of the largest cities in the shortest possible time and has acquired its inimitable image. The capital, which attracts large businesses and foreign investors due to the dynamic development, is becoming increasingly popular as one of the major cities for business and living, recreation and entertainment. Due to the implementation of the new master plan of Baku aimed at ensuring the city’s sustainability and systematic development, Azerbaijan's capital will become a more comfortable place for people living here. The second stage of development of Baku’s master plan will begin in March, Samir Nuriyev, chairman of the Azerbaijani State Town Building and Architecture Committee, said. Nuriyev made the remarks in Baku at an expanded meeting of the committee dedicated to the results of 2018, Trend reports referring to the State Committee on January 25. He stressed that the State Committee invited the influential consulting company "Boston Consulting Group" in 2018 to cooperate on the preparation of Baku’s master plan according to the modern standards. The Boston Consulting Group is one of the three most influential strategic advisory companies in the world. Together with this company the work is divided into two stages: the first stage is to analyze all the urban planning and territorial planning documents which have been developed so far. The second stage envisages finalizing the overall capital development process by involving prominent urban development, architecture, engineering companies and related experts on the basis of the requirements set out in the first stage with The Boston Consulting Group. "As a result, a concept of Baku’s development has been prepared and the priority directions of development have been determined," Nuriyev added. “An open tender has also been announced to choose an internationally known town-planning company,” he said. "The results of the tender will be published in March, after which the second stage of the development of Baku’s master plan is planned to be launched," Nuriyev said. This is the fifth plan of Baku so far. The First General Plan of Baku was developed by the famous architect N.A. von der Nonne in 1898. In 1932, the capital's second General Plan was developed. In 1964, the Council of Ministers of the republic approved the third General Plan of the city. The last plan was approved by the decision of the Council of Ministers of the Azerbaijan SSR in 1986 and this document covers the period up to 2005. 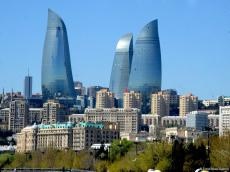 The New General Plan - "Greater Baku Regional Development Plan" should cover the period up to 2035. The project sketches were prepared jointly with consultants on issues of economic development (U.S. specialist Kay Miller), environmental issues (the Spanish company Eptisa), and urban planning (Italian Angelo de Urso). The "Greater Baku Regional Development Plan" and the "Land Use and Zoning Plan of Baku" project have been prepared in 2011-2014 in accordance with the loan agreement signed in 2007 between the Government of the Republic of Azerbaijan and the World Bank. Urban planning is of great importance as the number of population in the cities is constantly increasing and aimed to ensure the efficient functioning of settlements systems, design, construction and renovation of cities, their socioeconomic, engineering and transport infrastructure, the rational use of natural resources, the purposeful activity of the state in the field of cultural heritage and environment protection.